The secret is out: Chattanooga, TN is a city that’s home to an incredible array of outdoor experiences and possibilities. Having wholly embraced its geographical blessings in recent years, the Scenic City—as it’s appropriately nicknamed—is a place that’s ripe with adventure. 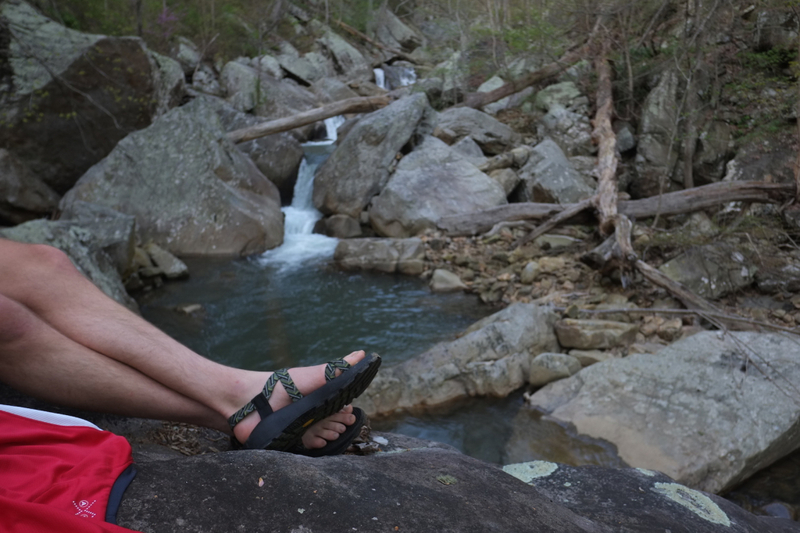 From the iconic point of Lookout Mountain to the steep bluffs of the Tennessee River Gorge, to everything in between, here’s a look at some of the best trails, waterways, and crags in the Chattanooga area. Oh, and of course, where to go before and after your adventures for some of the city’s favorite coffee, food, beer, and nightlife. While a solitary weekend might not be enough time to experience everything this city has to offer, it’s certainly a start. As any sane person would understand, finding a quality cup of Joe is perhaps the most important order of business when visiting a new city. 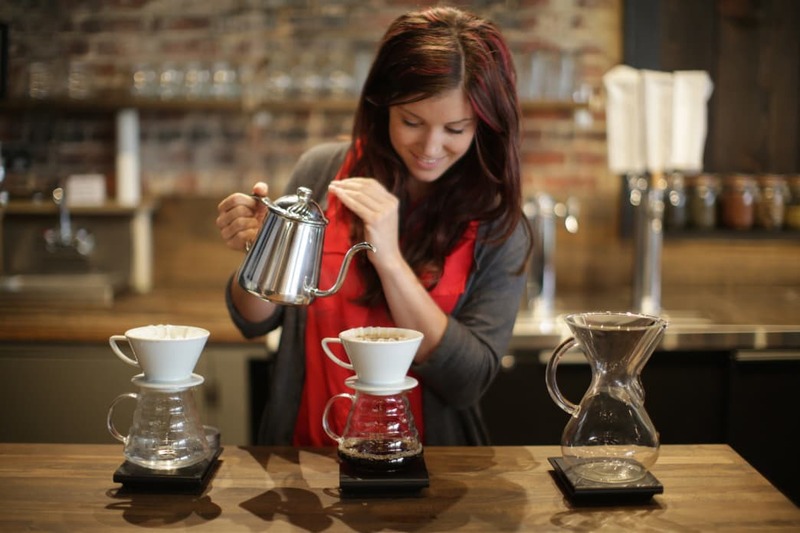 And luckily, Chattanooga boasts quite a few excellent options for caffeine-lovers. If it’s outdoor seating and nice views you’re looking for, you can’t go wrong with Rembrandt’s or Stone Cup. Rembrandt’s is a European-style cafe with stucco architecture and a shaded courtyard located in the ever-inviting Bluff View Art District, and Stone Cup is a Northshore establishment offering unrivaled views of the pedestrian-only Walnut Street Bridge. For memorably good craft coffee and espresso, there are a couple of other local haunts that need mentioning. As Chattanooga’s sole purveyor of North Carolina’s venerable Counter Culture coffee, The Camp House draws coffee lovers from a wide radius around the city. If you’re a latte lover, they’ve got the best in town, and if you’ve got a weakness for waffles or cinnamon rolls, this place might be dangerous. With over 50 trailheads within 30 minutes of downtown, the hiking scene in Chattanooga is easily among the best in the Southeast, if not the entire country. On the south side of the river is Lookout Mountain—a mountain ridge famous for its tourist attractions (like Rock City, Ruby Falls, and the Incline Railway), its world-renowned hang gliding school, and its fascinating Civil War history. Lookout also happens to be home to an extensive network of trails. At the base of the mountain, Reflection Riding offers a flat and easy excursion along creekside, gravel paths and through clusters of bamboo forests. Halfway up the mountain, the historic Cravens House acts as the perfect jumping off point for exploring a vast number of the mountain’s trails. And near the summit is one of the most memorable hikes in the Southeast: the beautiful Bluff Trail—a thin strip of singletrack that traverses the western flank of the mountain and offers unparalleled views of the valley and river below. North of the river, even more options abound. Signal Mountain, while not technically a mountain and more of a high plateau, is home to some amazing hikes. If you’re drawn to things like remote mountain creeks, tumbling waterfalls, rustic swinging bridges, and precipitous cliffs, then Signal is just the ticket. For water lovers, specifically, it’s tough to beat the hike to Rainbow Falls—a somewhat hidden route that many lifelong locals don’t even know about. Lucky for you, we’ve got step-by-step directions that will lead you straight to the bottom of the falls. 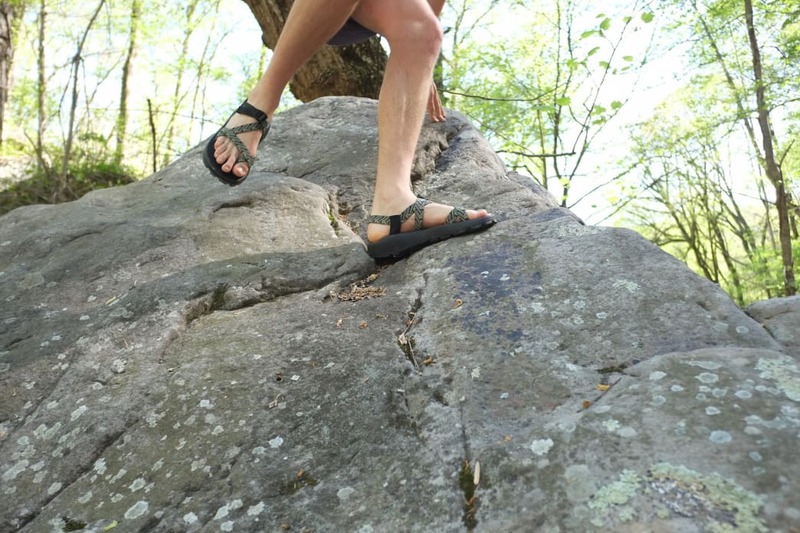 Climbers across the globe know about Chattanooga and its world-renowned boulders and cliff bands. 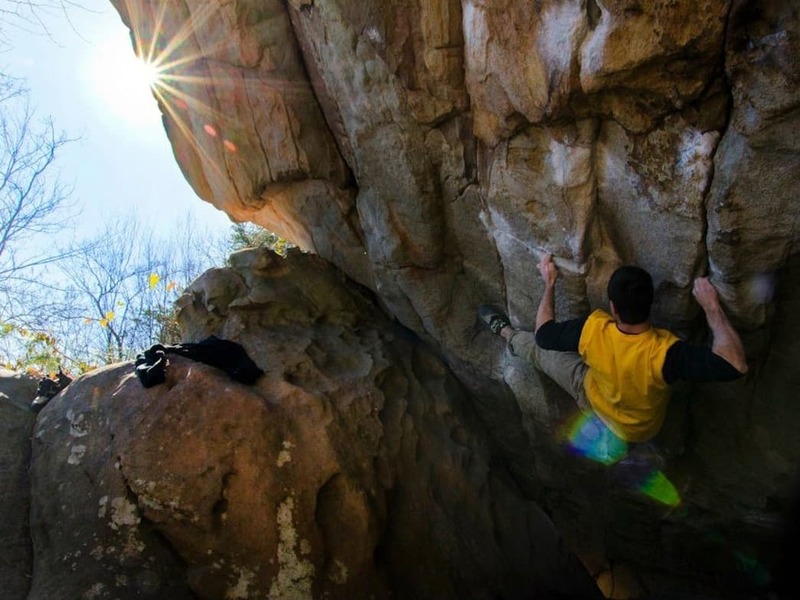 With seemingly endless miles of sandstone bluffs, as well as standout boulder fields, climbers who visit the Scenic City are like kids in a candy shop—only the Pop Rocks are real rocks and the Pixie Stix Powder is climbing chalk and the liquorice ropes are made of nylon… you get the point. If you’ve got the right gear and wherewithal, there are a handful of sport and trad gems located just outside the city. 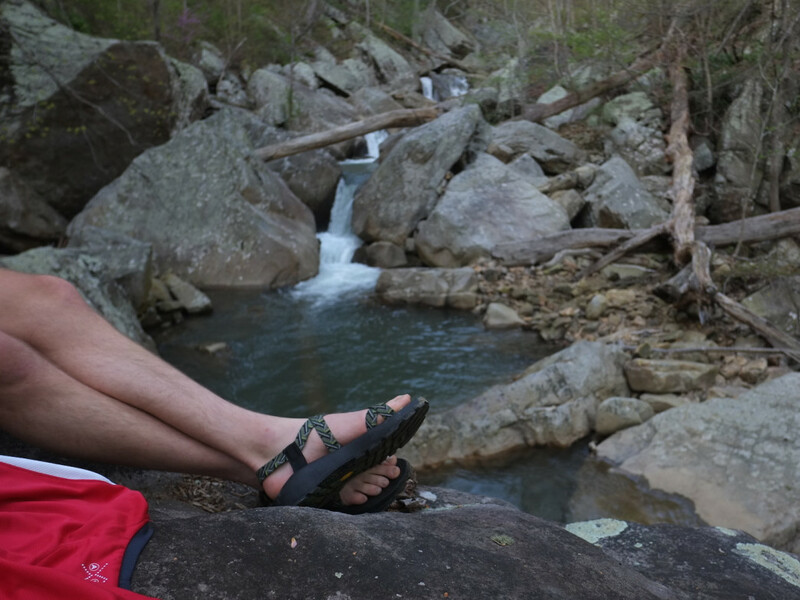 Foster Falls provides stellar sport climbing, a few overhanging cave problems, and priceless waterfall views. Tennessee Wall offers a lifetime’s worth of problems, with over 400 established routes on a fiery orange cliff line. And Deep Creek—the land of the V.12’s—conveniently backs up to the confluence of two creeks, where there are plenty of swimming holes to play in during the hotter days. But if it’s bouldering you’ve come for, you already know where you’re going: Stone Fort. Locally known as Little Rock City, this highly concentrated boulder field is one of the best bouldering spots in the world. Located on Mowbray Mountain about a 35 minute, scenic drive from downtown, Stone Fort is home to a staggering amount of problems, suitable for any level of climber. And one of the perks of visiting in the warmer months is that you have the natural oasis of North Chick Blue Hole located 10 minutes away at the bottom of the mountain. 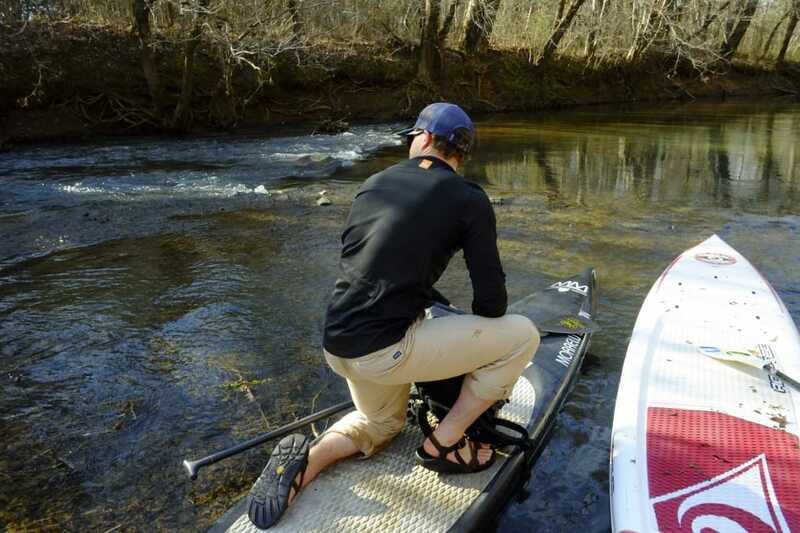 Perhaps better known for its world-class whitewater , the Scenic City is also no slouch when it comes to flat water paddling opportunities. While there are a handful of creeks worth exploring in the area—notably the emerald green waters of Lookout Creek and the well-kept secret of West Chickamauga Creek—if it’s your first time visiting, then you really don’t need to stray too far from downtown. Being the river city that it is, one of the cooler urban paddling experiences that you can find anywhere is located on the Tennessee River right in the heart of downtown Chattanooga. Talk about a totally different way to tour a city. If you don’t have a paddling vessel, you can rent stand up paddleboards from the L2 SUP Shop, and then put in at Ross’ Landing beneath Market Street Bridge. As you paddle out, enjoy gazing up at the underbellies of the bridges, inspecting the ivy-covered limestone bluffs of the Bluff View Art District, and witnessing people busily going about their days on the banks, as you casually float on the water. Bring some picnic supplies and refreshments, and make one of the sandy beaches on Audubon Island your home base, alternating between beach lounging and board floating. You can’t beat it. 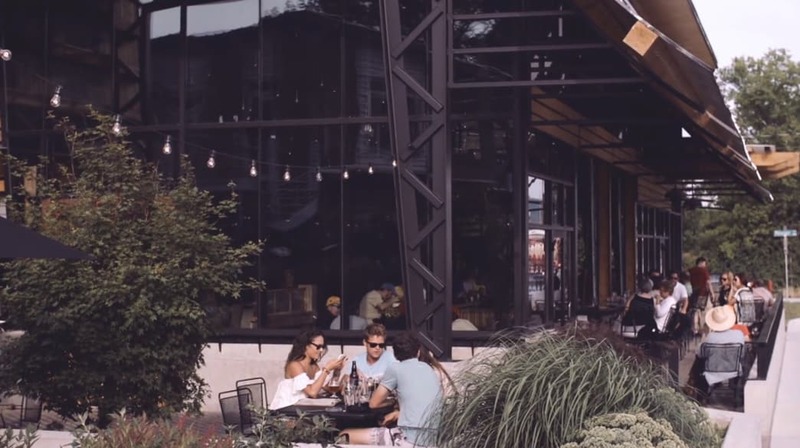 Not to be outdone by its natural surroundings, the city has recently revitalized its downtown into a fun and exuberant place to experience good food with good company. Whatever you’re looking for, you’ve got options. Fine dining? Alleia offers Italian food that easily compares to that of its homeland, and chef Daniel Lindley is a James Beard Semi-Finalist. Classic burger and beer? The Tremont Tavern is an obvious winner. Economical? Taqueria Jalisco has authentic Mexican tacos, and you can bring your own Tecate. Hip and fun? Clyde’s on Main has BBQ, ping pong tables, and shuffleboard tables. Modern and chill? Flying Squirrel has dynamic architecture, lounge seating, groovy tunes, and a long list of spirits, wine, and beer. So whether it’s a date night or a thousandth beer with your childhood best friend, there’s no shortage of choices. If you’re trying to stay close to the city in a place that’s full of young, like-minded individuals, there’s only one place to choose: The Crash Pad . Started in 2010 by a group of passionate climbers and outdoorsmen, this uncommon hostel is located right in the heart of the vibrant and happening Southside neighborhood (actually right next door to the Flying Squirrel bar—which they also own and operate). While any type of guest is more than welcome, the Crash Pad takes special care to maximize the experience for travelers who love the outdoor lifestyle. The space itself is modern, sleek, and LEED certified. There are two floors with bunk rooms ($28 a night), private rooms (prices vary), a kitchen, and a living room. All of these spaces are clean and comfortable, and the woodwork and custom concrete sinks and counters showcase the artisan craft of local stone workers. Amenities include free Wi-Fi and computer access, linens, and free breakfast. Like we said… One weekend probably isn’t enough. Happy exploring! Written by Ry Glover for RootsRated. So, You Want to Go to Snow Falls?